Join us as we photograph and explore "The Pearl of the Indian Ocean", Sri Lanka. With its rich culture, delicious food, ancient temples, amazing tea and welcoming people, Sri Lanka is fast becoming a "must do" photography destination. With eight designated World Heritage Sites, Sri Lanka offers a wealth of experiences for the traveling photographer. 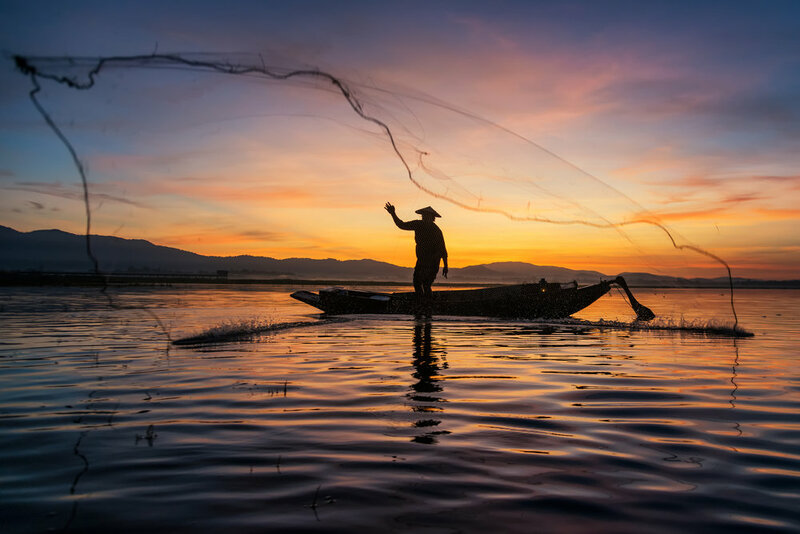 As we travel from Columbo in a clockwise fashion through the country, we will visit and photograph palaces, temples, bazaars, National Parks, the famous stilt fishermen, tea plantations, and amazing wildlife. 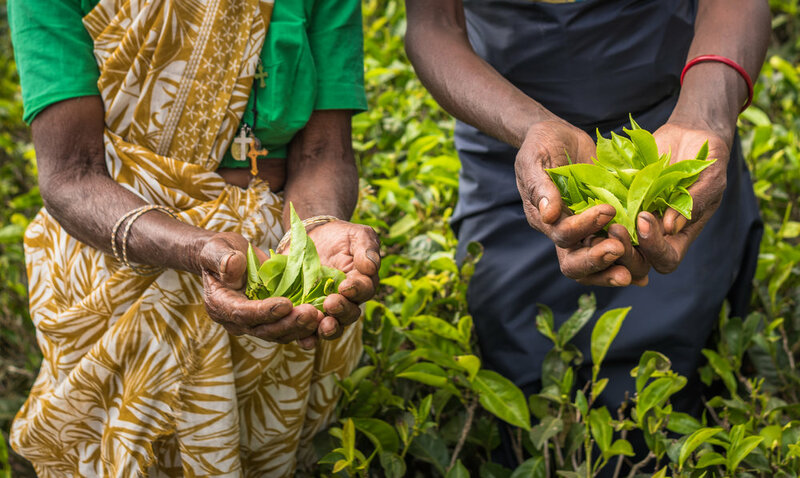 Previously known as Ceylon, Sri Lanka is the second largest exporter of tea in the world. During this workshop we will not only visit beautiful hillside tea plantations, but also take a scenic train ride to Ella, on which we will witness hundreds of shades of green of the countless tea plantations as they meet the blue sky in the horizon. Beyond landscapes, we will also experience some of this country’s emblematic wildlife by going on safari in a number of the National Parks. During these safaris we hope to get the opportunity to see and photograph elephants, leopards, sloth bears, crocodiles, wild buffaloes, and large flocks of migratory and indigenous birds. No Muench Workshop is complete without great food, and lucky for us Sri Lanka is known for its delicious and fresh foods. We will stay at some of the best hotels where we will enjoy the warm hospitality and great food of Sri Lanka. February 25, 2019: Arrive today at the Colombo International Airport (CMB), where you will be picked up by our drivers holding a Muench Workshops sign. Transfer to our hotel in Negombo (20 minutes). 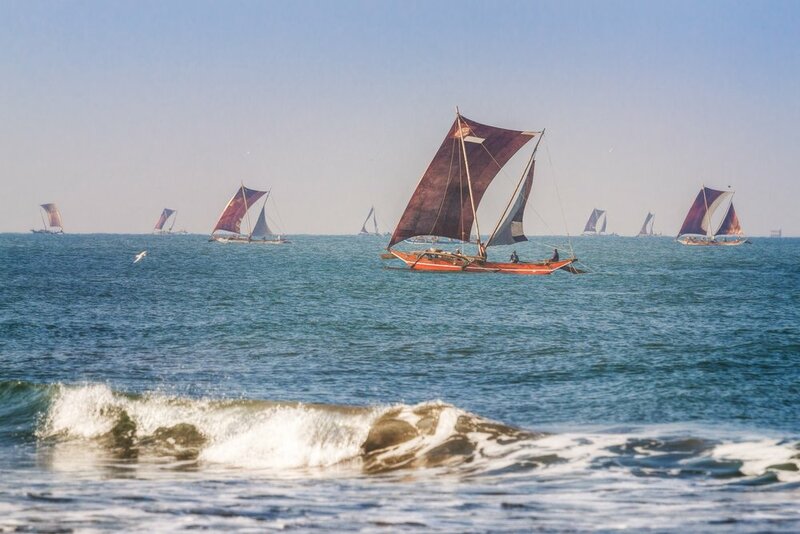 We'll begin the workshop with a Negombo city tour including visits to a fish market, a fishing village, and Negombo harbour, where we will photograph sail boats and/or catamarans at sunset. Overnight in Negombo. February 26, 2019: After breakfast we depart for Sigiriya (4 hours drive). Check in to the hotel. Go on safari at the Minneriya or Kawudaull national park (National park will be selected according to the season, because elephants are migrating within these parks). Overnight Habarana. February 27, 2019: Visit Sigiriya rock fortress, a well-secured rock fortress which is also a world heritage site. Built by King Kashyapa in the 5th century A.D., it is home to water gardens with still-functioning fountains, frescoes, ancient graffiti, and amazing ruins. We may also visit Pidurangala mountain and temple. Proceed to Polonnaruwa, which was the medieval capital of Sri-Lanka, built in 11th and 12th centuries—also declared a world heritage site. 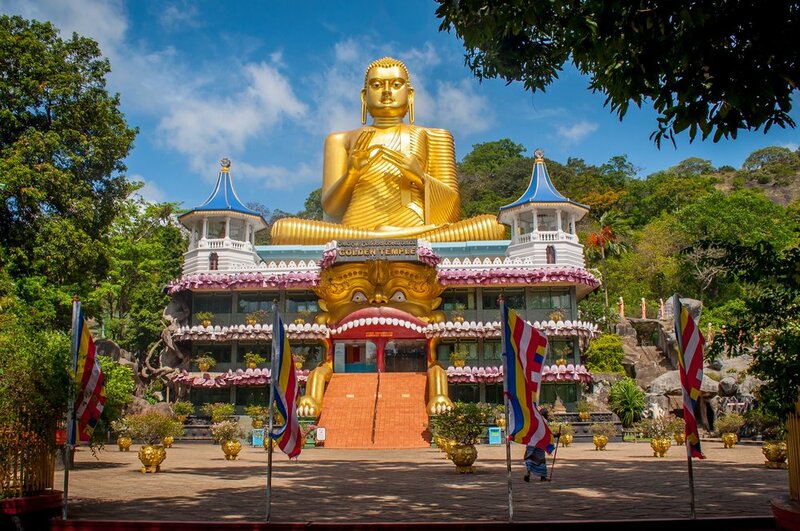 You can see the ruins of the Royal palace, Buddhist monuments, and visit Lankathilaka and Galviharaya with their splendid statues of the Buddha, carved out of the living rock. Overnight in Habarana. 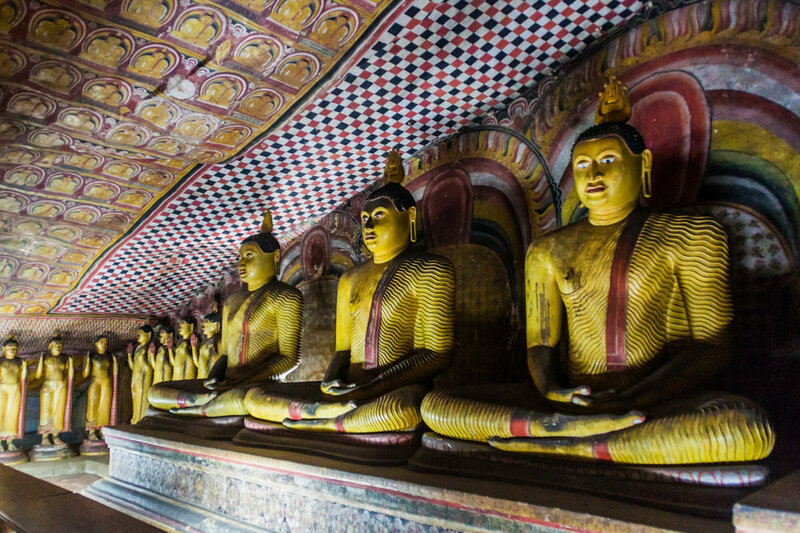 February 28, 2019: Visit Dambulla rock cave temple built by King Walagambahu, in the 1st century B.C., a world heritage site and the most impressive of Sri-Lanka’s cave temples. Then proceed to Kandy, on the way visit to the tallest Hindu temple in Sri-Lanka at Matale. Walking tour in the Kandy city including visit to local market and bazaar area. In the evening witness a cultural show. Overnight in Kandy. March 1, 2019: After breakfast we proceed to Nuwara Eliya, also known as little England, on the way stop for couple of view points, waterfalls, tea pickers, tea plantations, and tea factory. Overnight in Nuwara Eliya. March 2, 2019: We depart in the early morning with picnic breakfast leaving for Horton plains national park, where we will do some trekking as well as photography tour. In the afternoon we return to the hotel and relax the rest of the day. Overnight in Nuwara Eliya. March 3, 2019: After breakfast we board the very scenic train to Ella passing countless tea plantations creating some magnificent landscapes. Overnight in Ella. March 4, 2019: We depart in the morning for Little Adam’s peak, Nine arch bridge, Haputale area to visit Lipton seat followed by a trip to the beautiful Bambarakanda falls. Overnight in Ella. March 5, 2019: After breakfast we travel to Yala, on the way stop at Ravana falls. 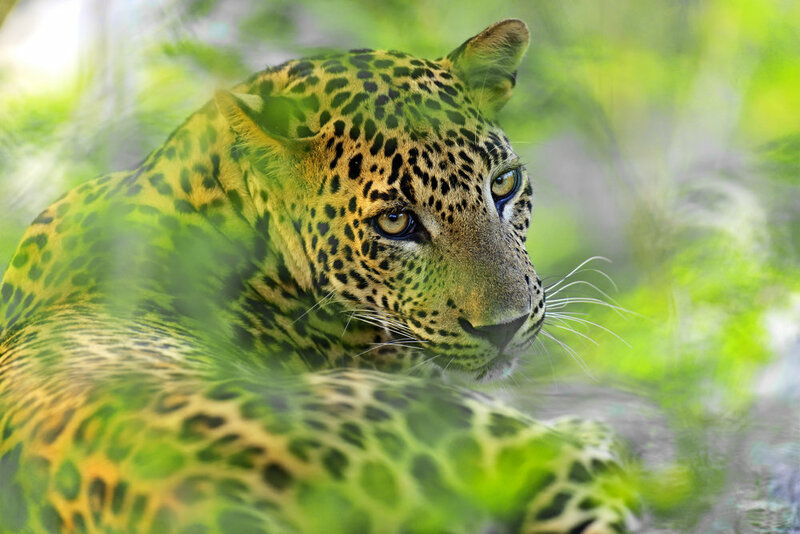 In the afternoon we head to Yala national park for a safari to try or luck with the leopards, wild elephants, wild boars, wild buffaloes, sloth bear, spotted deer, and crocodiles. Large flocks of migratory and indigenous birds are also found here. Overnight Yala. March 6, 2019: We depart in the early morning with picnic breakfast leaving for Yala national park once more for full day safari. Picnic lunch in the park. Returning to the hotel in the late afternoon. Overnight in Yala. March 7, 2019: We depart in the early morning with picnic breakfast leaving this time for Bundala national park where we will enjoy half a day jeep safari. In the late afternoon visit Katharagama Hindu temple. Overnight in Yala. March 8, 2019: After breakfast we depart for Galle along the southwest coastal road. On the way visit the famous Stilt fishermen in Weligama and Mirissa Harbour. Overnight in Galle. March 9, 2019: After breakfast we depart for the Colombo International Airport (Airport code CMB) for departures home. Fun, inspirations, and a great time! Transportation to and from Colombo, Sri Lanka. Passport and visa fees, if any. Medical Evacuation Insurance (required). Travel Medical and Trip Cancellation Insurance (optional, but recommended). Items of a personal nature. Alcoholic beverages. Anything not specifically listed as included. Your deposit of $4,000 is due at sign up and will hold your space in the workshop. The balance of $5,495 is due by November 1, 2018. All of our standard terms and conditions apply. Need special payment arrangements for your deposit? No problem, just ask us. This workshop is strictly limited to only 8 guests, so don't wait, click the "Sign Me Up! button and we'll see you in Sri Lanka!